Rosy Mondin is a highly visible figure in the cannabis industry. 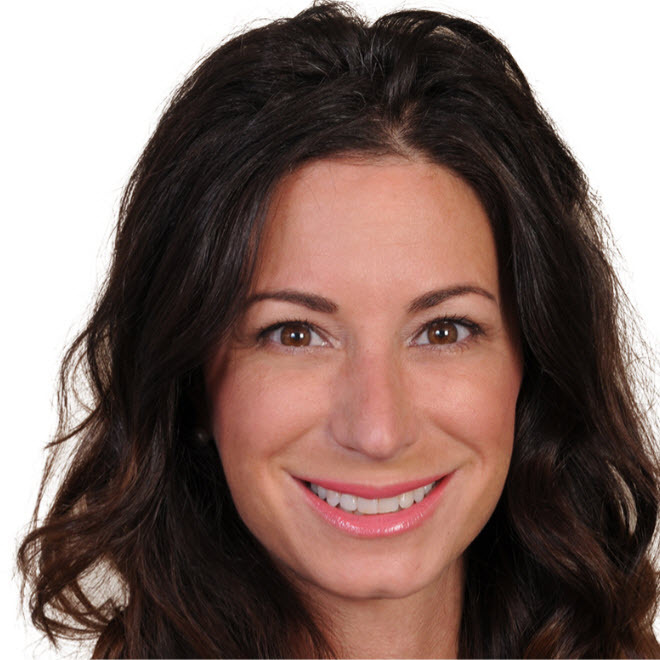 She is the CEO and director of Quadron Cannatech (CSE: QCC) (OTC: QUDCF), a manufacturing and ancillary products company the serves the cannabis space, and her advocacy efforts take her around the world. She sat down with New Cannabis Ventures to discuss why she thinks her company is going to be an industry disruptor and what she wants investors to know about future growth. Mondin first became interested in the cannabis space through her background in criminology. The issue of civil liberties and the prohibition of cannabis always intrigued her, and she never forgot that interest when she went onto attend law school, work in litigation, and then corporate commercial law. In 2013, the legal framework in Canada was changing – a commercialized model for cannabis production was emerging and people wanted to know how to transition from personal production to a commercial business. Mondin received a lot of calls from these people, which eventually prompted her to use her experience and her passion to forge a career for herself in the cannabis space. 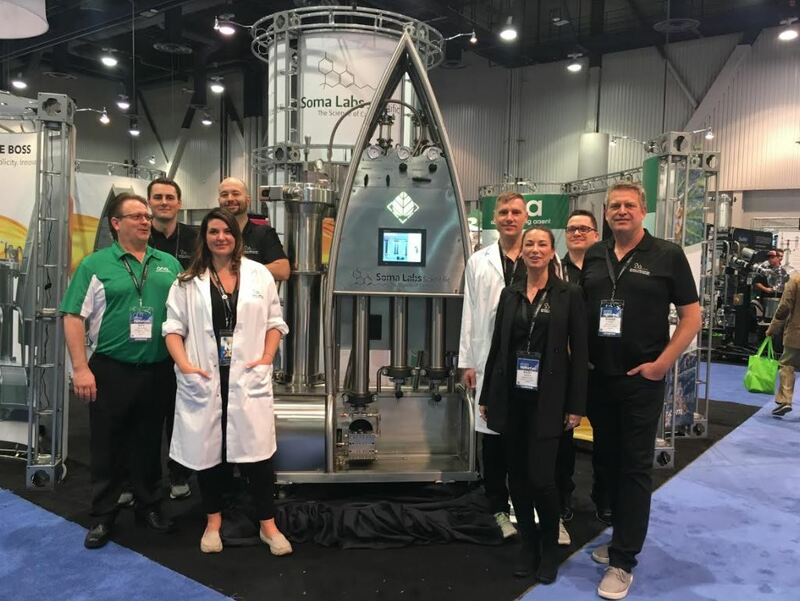 Quadron started out purchasing a CO2 extractor and setting up a laboratory with a grower, but the team quickly came to realize the extractor was not producing the quality and yield they wanted. Instead of waiting for new, better technology to emerge, Mondin and her team decided to build it themselves. They set out to create an extractor that was easier to use, more efficient, and produced a higher level of quality, and the BOSS CO2 Extraction System was the result. Knowing how capital intensive building extraction equipment and setting up laboratories would be, becoming a public company seemed a natural choice for Quadron. The company was able to raise capital through private placements before listing and trading. Not long after listing, the company announced the acquisition of Cybernetic Control Systems, an equipment automation company that is now one of its three subsidiaries. As a subsidiary, Cybernetics does a lot of the engineering work that goes into the company’s equipment, but it also manages a lot of contracts outside of the cannabis space. 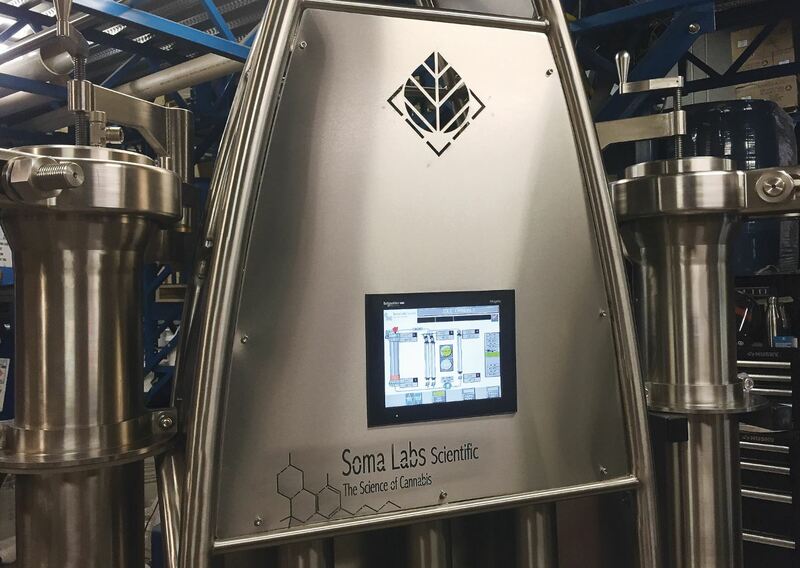 Soma Labs, another subsidiary, manufactures and sells the company’s equipment and takes the lead on laboratory installation services. The third subsidiary, Greenmantle Products, focuses on end-delivery products, such as vapor pens and capsules, and provides labeling, packaging, and branding services. The subsidiaries have helped Quadron create valuable relationships. For example, Leo Chamberland, the cofounder of Soma Labs, just joined the company as president – a role that will involve overseeing the operations in all three subsidiaries. Other key members of the company’s leadership include Shane Lander, founder of Soma Labs and designer of the BOSS system, and Michael McDonald, an electrical engineer and founder of Cybernetic Control Systems. 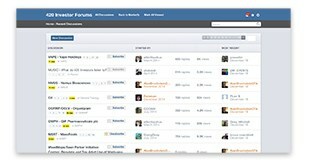 The company will be adding more members to its team as it ramps up its resources. In addition to its subsidiaries, Quadron is forming strategic partnerships with other companies in the industry. For example, the company signed a development and distribution agreement with Lucid Labs, based in Washington. Together, the companies plan to work on developing more equipment like an alcohol extractor, a pressure-assisted filtration system, a fractional distillation system, and eventually a hydrocarbon extraction system. Through the agreement, Lucid Labs is also able to sell the BOSS system. Mondin expects to continue strategically searching for partners that will help grow the company’s reach and provide long-term value for shareholders. The past year has been dedicated to obtaining equipment certification, a process that Mondin believes goes above and beyond what a lot of other companies are doing in the same space. Late last year, Quadron announced the first sale of its CO2 extractor to Quintet Ventures. The company is completing the first 10 extraction units, and she expects those will be sold and delivered by summer. The BOSS is roughly the size of a coffee table, much smaller than traditional equipment that is frequently used in the cannabis space, and it only requires a single technician to operate it, rather than multiple people with highly specialized training. It is features like this that Mondin believes will make the BOSS a disruptive force in the extraction space. Looking forward, Mondin expects 2018 to be a milestone year for her company. Quadron started the year by announcing a $5 million financing deal, which has allowed the company to increase staffing, resources, and invest a lot of energy into sales and distribution. Mondin noted that in 2017 the company was focused on a lot of internal development, so there weren’t many announcements to make. This year though, she expects to make announcements of more sales and distribution agreements and strategic partnerships in the laboratory establishment space. On the end-delivery side of things, Quadron has spent the past year and a half focusing heavily on vapor pens. The company engages directly with manufacturers to test vapor pens with different specs to find the right mix of features for the most efficient and effective product. This year, the company will be expanding the scope of its end-delivery products business to include capsules and suppositories. Mondin sees the cannabis industry shifting heavily toward extracts, oils, and concentrates over the next four years. This expected shift in the market is why the company bet on extraction in the first place. Additionally, the company does not directly touch the plant, leaving it free from licensing restrictions and allowing it to establish distribution and partnerships anywhere in the world. Mondin sees a wealth of grow opportunities for Quadron on the horizon.